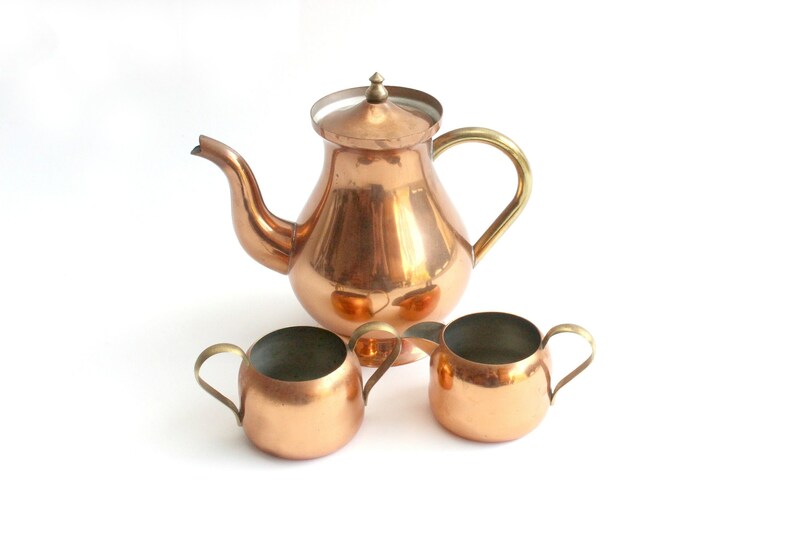 Vintage copper tea set. Three piece set includes teapot with lid, creamer, and sugar dish. Made in Portugal. 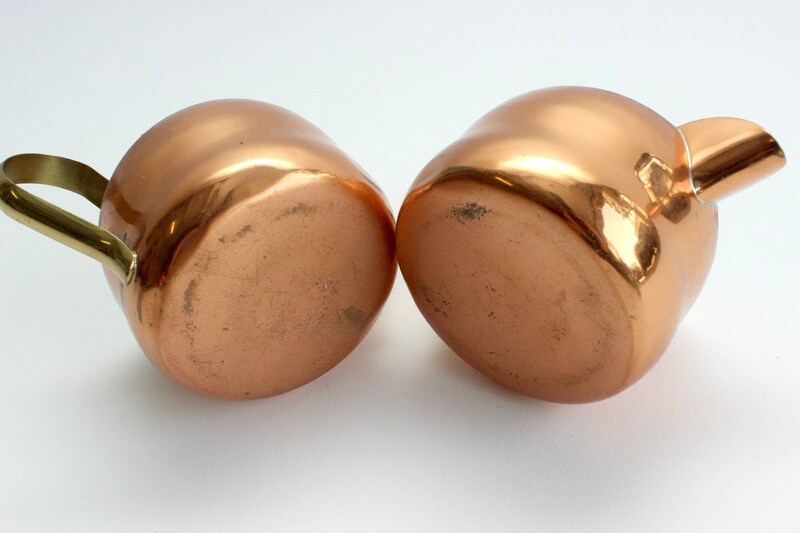 Copper with brass handles. Vintage/used condition. 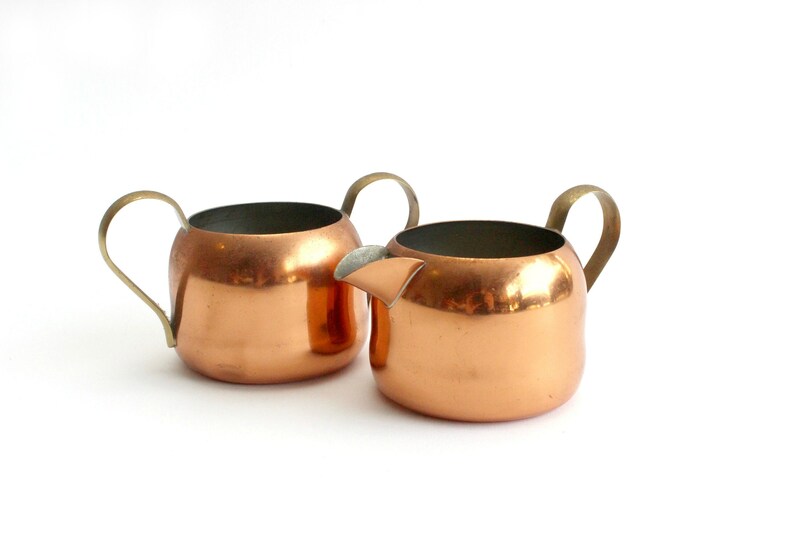 This set has some light wear and tear but is still very charming! 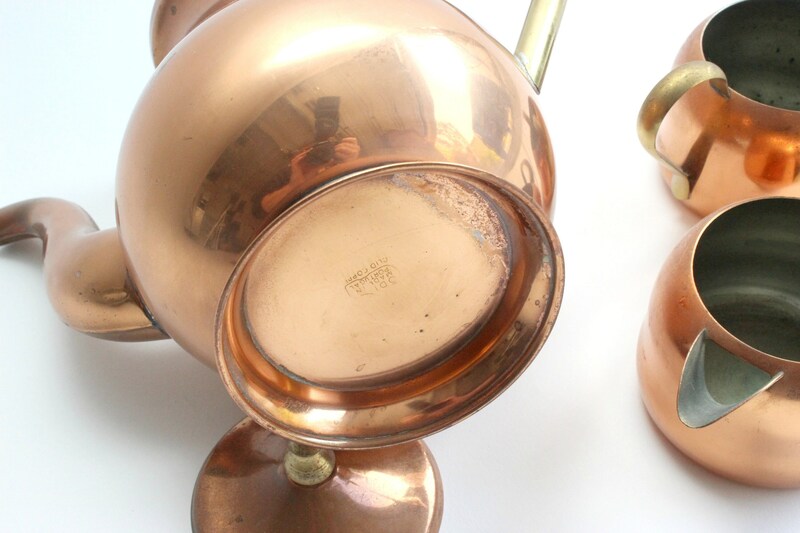 There is a light patina and polishing may be desired. Small scratches and dents can be seen. 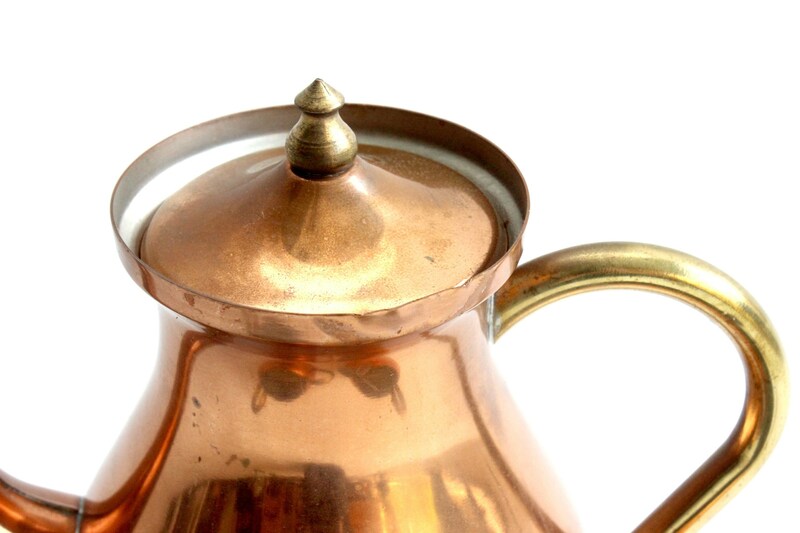 The sugar dish has a heavy patina on the inside. 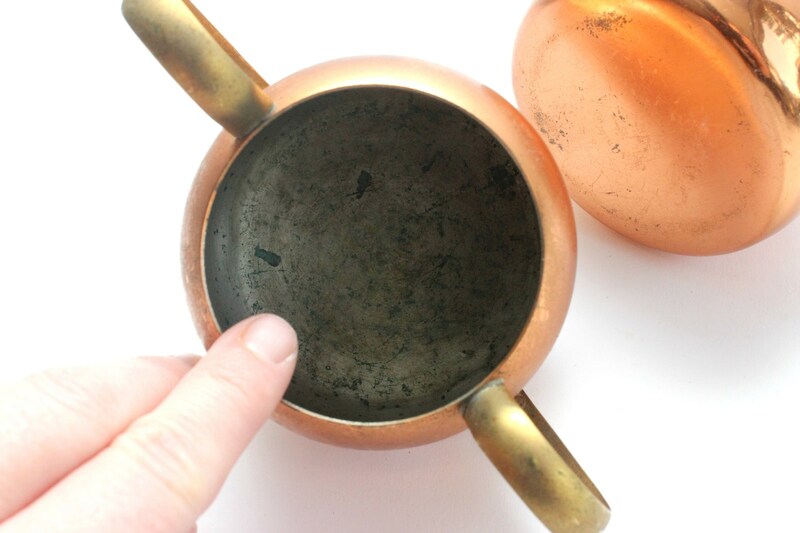 Despite some wear and tear, the tea pot is very clean on the inside and is suitable for use. 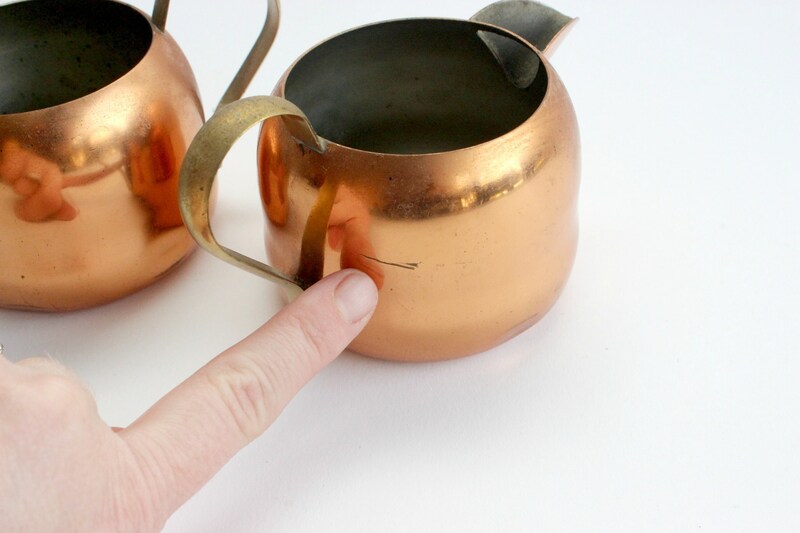 Teapot measures 9 inches long, 5 inches wide and 8 inches tall. 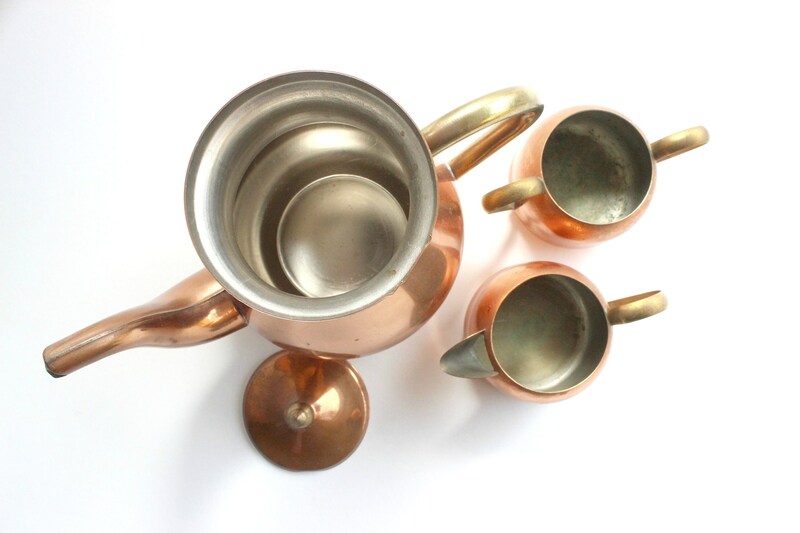 Both creamer and sugar dish measure 3 inches wide and 2.5 inches tall.